Chanda Burrage considers herself to be a “STEM-Evangelist” who has participated in research and development projects in various underserved communities in the USA, Africa and Asia. Her educational and research backgrounds cover a mix of biological science, international affairs and human geography, held together by a vision of developing radical, innovative solutions that improve livelihoods in the world’s most marginalized peoples and communities. Burrage is a Ph.D. Candidate (ABD) in geography at The Pennsylvania State University. Her dissertation, at the intersections of globalization and climate change, examines the impacts of commercial cattle development on the lives and resiliency of Ethiopian subsistence pastoralists. She has also received a Master of International Affairs from Penn State, a Master of Science in Biomedical Engineering from Wayne State University and a Bachelor of Science in biology from North Carolina Agricultural & Technical State University. She teaches geography, sociology and research methods courses at the City College of New York – Medgar Evers College and has taught Introduction to Contemporary Africa at The Pennsylvania State University. 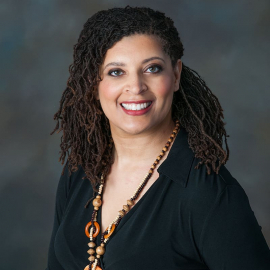 In addition, Burrage is a co-founder with her husband, Ronnie Burrage – an accomplished jazz percussionist and composer – of World Rhythm Academy, an organization that promotes community engagement around social and environmental justice through the arts.